After two farewell parties in two nights, I was happy to catch up on some sleep and rehydrate myself. After I finally woke up, I watched a DVD that one of the teachers lent me the night before. 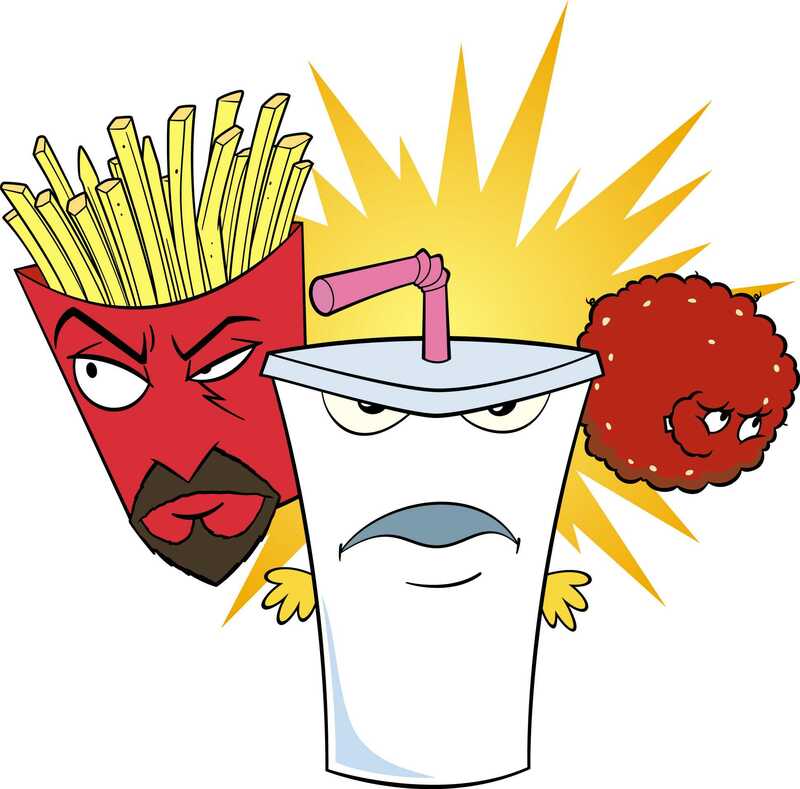 It was the second season of a very strange American animated show called “Aqua Teen Hunger Force”. The stories make little to no sense, and are based around the lives of anthropomorphic fast food items living in New Jersey. Bizarre would be one word for it. I never knew that fast food could live such an interesting life! This entry was posted on August 8, 2015, 8:00 pm and is filed under Life in Japan. You can follow any responses to this entry through RSS 2.0. You can leave a response, or trackback from your own site.